—Agro Biosciences, a Milwaukee-area company whose technology is aimed at identifying beneficial bacteria in order to improve agricultural products, said it was acquired by Church & Dwight (NYSE: CHD), the parent company of Arm & Hammer Animal Nutrition. According to a press release, the purchase price was $75 million, but could increase to $100 million if Agro Biosciences meets certain performance benchmarks in the future. That would put the deal on the relatively short list of nine-figure acquisitions of Wisconsin-based high-tech companies in the past decade. —The Milwaukee-based BrightStar Wisconsin Foundation, which invests in startups through an unconventional venture philanthropy model, added three companies headquartered in the Badger State to its portfolio. According to an e-mail from BrightStar spokesman Rod Hise, the foundation invested $200,000 in Madison-based SimpleMachines, which is developing a computer chip designed to increase processing speed and reduce energy usage in data centers. BrightStar also invested $50,000 apiece in Lumanu and Exit 7C; both are based in Milwaukee and participated in the startup accelerator Gener8tor last year. —More fundraising news: Engineered Propulsion Systems, a startup based in western Wisconsin that makes airplane parts, raised more than $1.7 million in equity funding from five investors, according to a document filed with federal securities regulators. According to the company’s website, it is developing a lightweight diesel engine for general aviation that it says emits less carbon dioxide than competing diesel engines. —Leading developers of electronic health records software, such as Verona-based Epic Systems and Kansas City, MO-based Cerner (NASDAQ: CERN), are seen by some in the healthtech industry as playing catch-up when it comes to population health management. That term refers to the practice of defining a specific population, such as patients with congestive heart failure, and using software and other mechanisms to keep the entire population healthy. According to a former hospital executive who now does consulting work for healthcare organizations that use Epic’s software, Epic is working to make up ground between it and more narrowly focused population health management software vendors such as Optum and Evolent Health (NYSE: EVH). —David Van Sickle, co-founder and CEO of Madison-based Propeller Health, which is developing smart sensors and inhalers for patients with asthma and chronic obstructive pulmonary disease, discussed with Xconomy how his company’s hardware and software products fit into the bigger picture of population health management. —Madison-based Stratatech, which is developing stem cell-based human tissue for treating burn wounds, said the first patient has been enrolled in a Phase 2 clinical study of its core skin replacement product, StrataGraft. According to a press release, up to 20 patients with complex skin defects will be enrolled in the study. It is aimed at evaluating the safety, tolerability, and efficacy of StrataGraft as an alternative to grafting tissue from another part of a patient’s body onto the wounded area. Stratatech was acquired by U.K.-based Mallinckrodt (NYSE: MNK) last August for $76 million in cash, though the company could be on the hook for another $121 million in milestone payments. 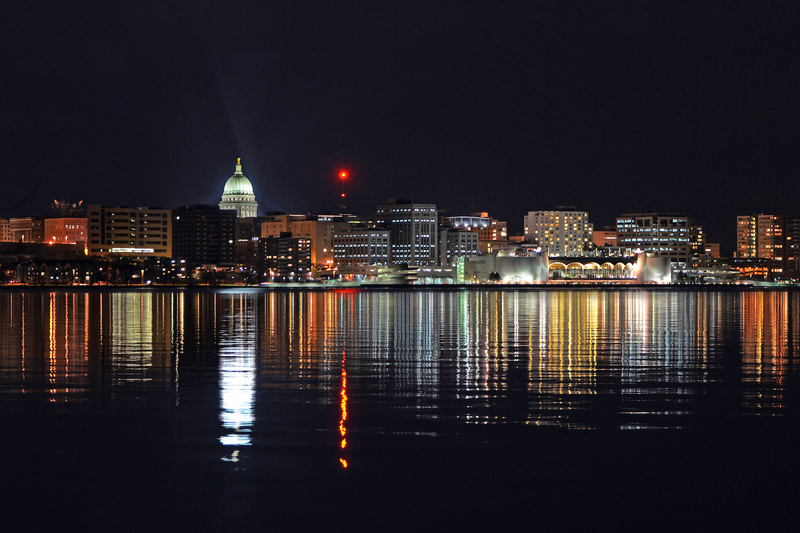 —Xconomy profiled two Madison-based startups that exited stealth mode in recent months. One, Pro-Boards, sells a computer keyboard designed specifically for legal professionals. The other, Blackriver, has developed software allowing cyclists to plan and track their rides, and share the information with other users.